To save time we recommend completing the Patient Information Form prior to your first visit. The form can be downloaded below or contact us to have it emailed/faxed to you. Completed forms may be emailed to info@drblumberg.ca, or brought with you to your Initial Visit. If you intend to complete the forms in person at the clinic, please arrive 10-15 minutes prior to your scheduled appointment. To facilitate accurate saliva pH testing if necessary, please abstain from eating or drinking anything but water for 1 hour before your Initial Visit. Congratulate yourself on taking the first proactive step to taking control of your improved health and to creating your own well-crafted life! After carefully reviewing your Patient Information Form, Dr. Blumberg will meet with you for a personal consultation. This is the time to clarify the concerns that brought you to our office, your health history, and your health goals. With your permission, Dr. Blumberg will then perform a comprehensive examination which may include an assessment of your posture, balance, range of motion, strength, and nervous system function. The exam may also include two computerized neurological scans, a pH saliva test and a referral for x-rays if indicated. Dr. Blumberg will use the time between your 1st and 2nd visits to review your case and put together a detailed Report of Findings package for you that will outline the health of your nervous system and recommendations for your care, and provide you with further information. We truly appreciate your putting trust in us as partners in your health care and maintenance. To provide you with practical first steps and as much education as you need to reach your goal. If you ever have a question, don’t be afraid to ask. To be respectful of your time (because it’s a valuable commodity most of us are too short on). We try as hard as we can to stay on schedule. Please be aware, however, that sometimes a patient’s treatment becomes more in-depth than we could anticipate. If this happens you might find us running behind. We ask for your patience and understanding that if this happens to you, you too will be accommodated with the time you need..
Payment is expected at or before the time of service. It is important to us that our financial arrangement be clear. It is our desire to support you in any way we can to meet your financial obligations while you make a choice toward more perfect health. Your customized treatment program will be designed so that you may achieve maximum correction in the shortest amount of time. Adhering to the treatment schedule prescribed assists you in getting better faster and staying well longer. We understand that unforeseen circumstances occur. If you have to cancel an appointment please give us 24 hours notice and reschedule promptly to stay on track. Repeated short-notice cancellations will result in a $25 cancellation fee being applied to your account. No question should ever go unasked or unanswered. Dr. Blumberg prides herself on developing a unique and personal partnership with every patient. 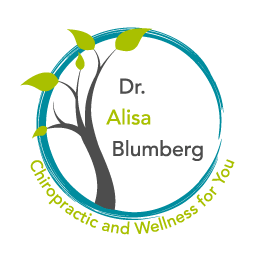 If you have any questions about your involvement with our clinic, do not hesitate to contact Dr. Blumberg directly at 416-613-9355 or alisa@drblumberg.ca.